Loving Gaby has moved to third favourite for the Blue Diamond after an impressive win at Caulfield. Trainer Ciaron Maher has a first Blue Diamond Stakes win in his sights after Loving Gaby raced to an impressive victory on debut in a key lead-up race at Caulfield. After being slightly slow away in Saturday’s Group Three Chairman’s Stakes (1000m), Loving Gaby was last on the fence early but jockey Damien Lane saved ground around the home turn and then angled the filly into the clear at the 200m. Stamping herself as a filly on the rise, $3.50 favourite Loving Gaby overhauled her stakes winning stablemate Bella Rosa ($6) to score by a half-length while leader Lanigera ($4.80) finished another three-quarters of a length away third. 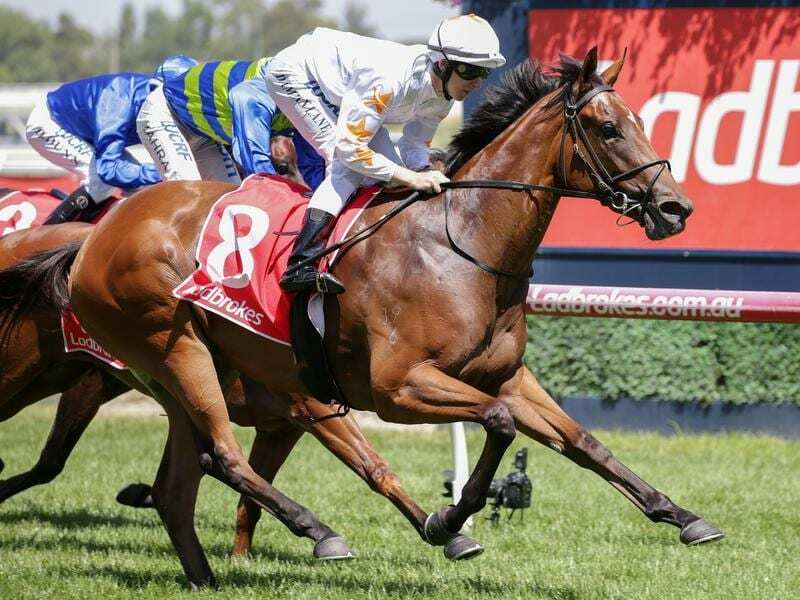 Loving Gaby has firmed from $15 to $6 for the Group One $1.5 million Blue Diamond (1200m) on February 23 behind Catch Me ($4) and Brooklyn Hustle ($5) while Bella Rosa has tightened from $51 to $15. “She was very impressive,” Maher, who trains in partnership with David Eustace, said of Loving Gaby. “That was always a little bit of a worry if she stepped away a little slow because she such a big, raw filly, but this horse has got a really bright future. “She put the writing on the wall in her trial at Pakenham and you can see when she got out today she still really didn’t know how to flatten out. Loving Gaby had also been entered for a race at The Valley on Friday night but connections opted for Saturday’s richer race and she will now go to the Blue Diamond without another run. Maher also thought Bella Rosa ran a huge race first-up since the spring after sitting close to the speed. “They were pinging along,” Maher said.